Please read the following terms and conditions of use before using this website. In using this website, you agree to these terms and conditions of use. Sarum Bee Supplies reserves the right to update these terms and conditions at any time without notice to you. 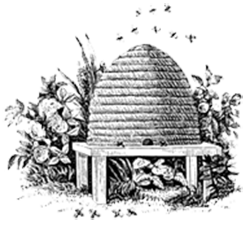 The terms " Sarum Bee Supplies", " Sarum Bees", "we", "us", "our" and "ours" when used in these Terms and Conditions mean Sarum Bee Supplies of Livery Road, Winterslow, Salisbury SP5 1RF. Post: Sarum Bee Supplies, Sarum Heights, Livery Road, Winterslow, Salisbury SP5 1RF. This website contains material which is owned by or licensed to Sarum Bee Supplies. This material includes, but is not limited to, the design, layout, look, appearance, graphics and data. It is protected by intellectual property laws including, but not limited to, copyright. Sarum Bee Supplies is not responsible for any inaccuracies and makes no representation and gives no warranty as to its accuracy. Since the information was not prepared for you personally, it is not intended to form recommendations or advice. It is your sole responsibility to satisfy yourself that the information is suitable for your purposes.